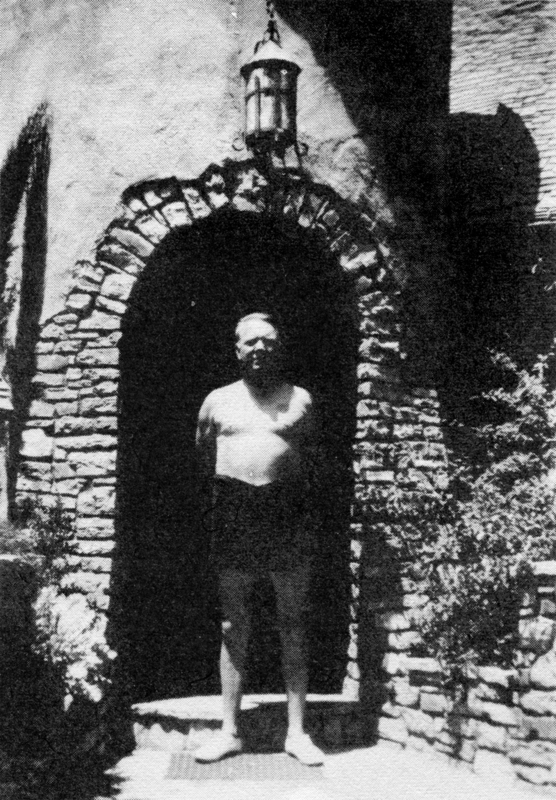 Actor W.C. Fields in the doorway of his 8th Street home in Newhall, c. 1935. Vaudevillian Charles "Charlie" Mack built this gingerbread house around 1924, along with two smaller cottages in the same style up the street. Mack died in 1934; Fields occupied the main house for the next year or two. Further reading: 8th Street Home Popular with Vaudeville Greats.